soybean311 Wrote:New to the Forum. Been a lurker. 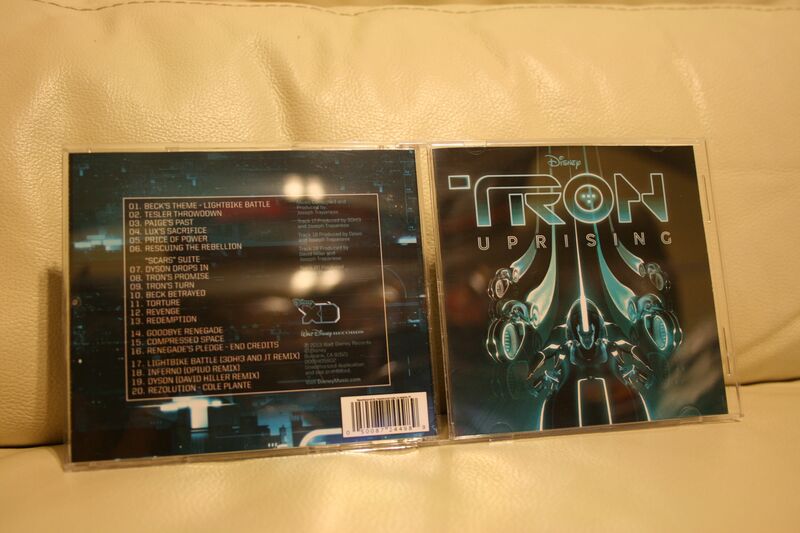 I love Tron Uprising! Love the show and the soundtrack is amazing! I do have a question. There is a particular theme that I've been looking for that sadly I don't think was included in the soundtrack. It's minor, but I love it. It is heard in episodes Identity and Tagged. In Identity, as Beck is programming the screens to display Tron Lives and once complete starts swinging down the pipes and transforms from his Renegade outfit to his normal self. In Tagged, when one of the taggers puts on his tagging glove and starts tagging. Anyone know here i can find this theme? 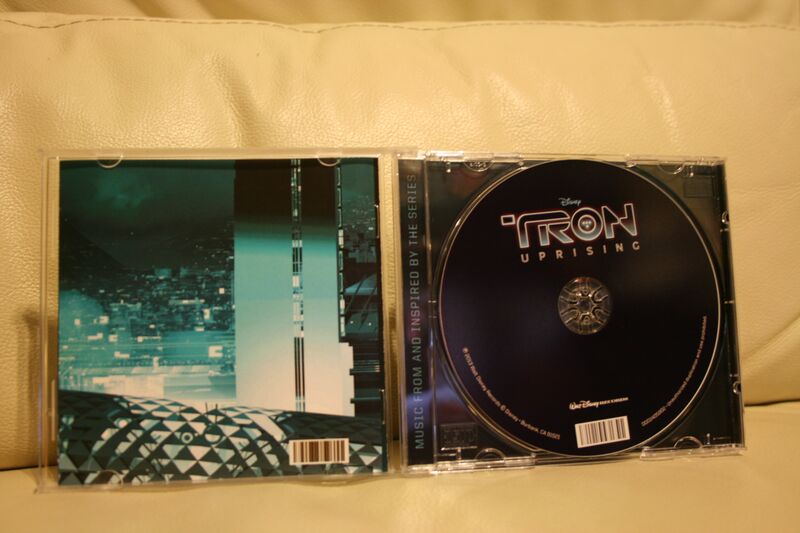 This is not just any "burned CD-R"
Well worth the extra money paid to have this beauty. budleighsalterton Wrote:I believe there is some spoiler footage in that video montage! Kinda noticed the clip where Tron was a bit too long from the healing chamber near the beginning. Looked like he was on Tesler's ship. Here's an interview with Joseph Trapanese. 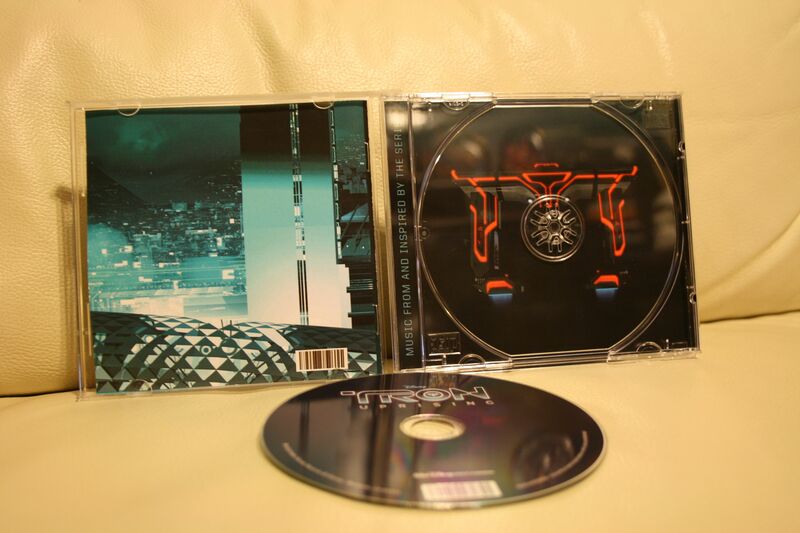 My CD finally arrived! I opened it and was very impressed with how professional it looked. This is my first CD-on-demand, so I was concerned about the quality. I had no reason to worry as this is a very high-quality product. I'm listening to it right now and it sounds awesome! It's hard to pick a favorite track, but I'm really impressed with "Paige's Past" and "Lux's Sacrifice". 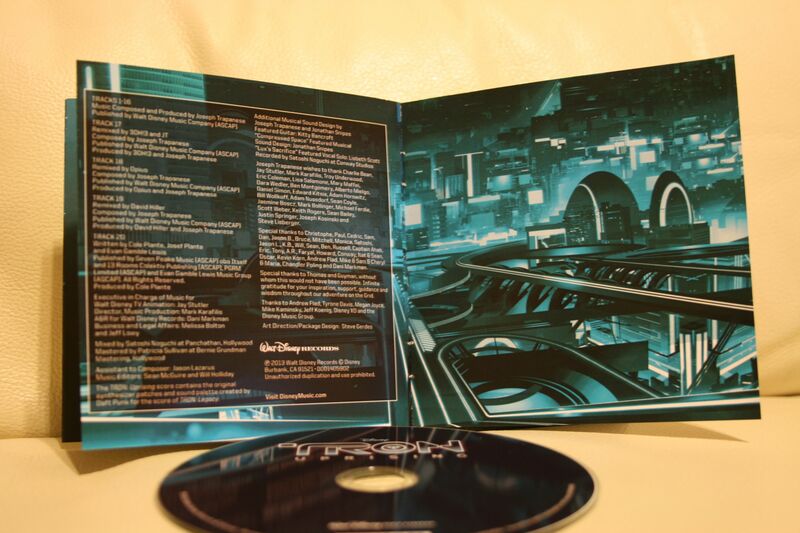 But all the tracks are incredible! 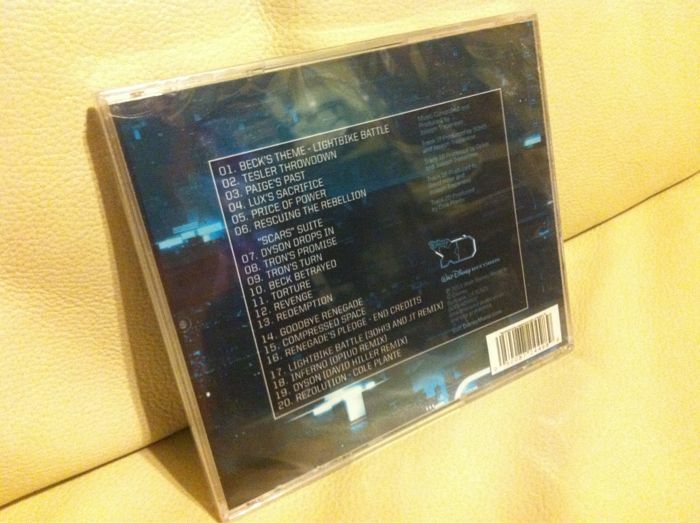 This CD will be added to my "work" mix that I listen to while I'm working. 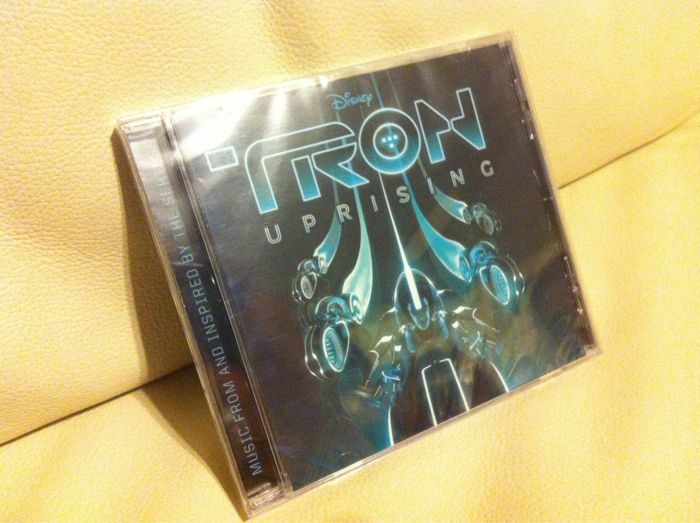 I'm glad I purchased this CD, and I hope that my purchase, in some small way, will help keep TRON: Uprising from being canceled. 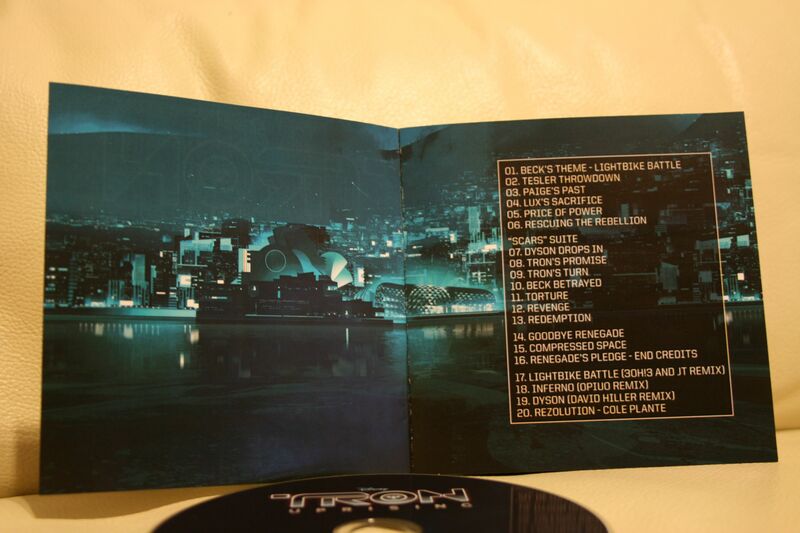 I would love for Joseph Trapanese to release a Volume 2, and include some of the tracks that weren't included on this CD, like the dance track from the Argon City Square scene in "State of Mind". One can only hope...LOL! 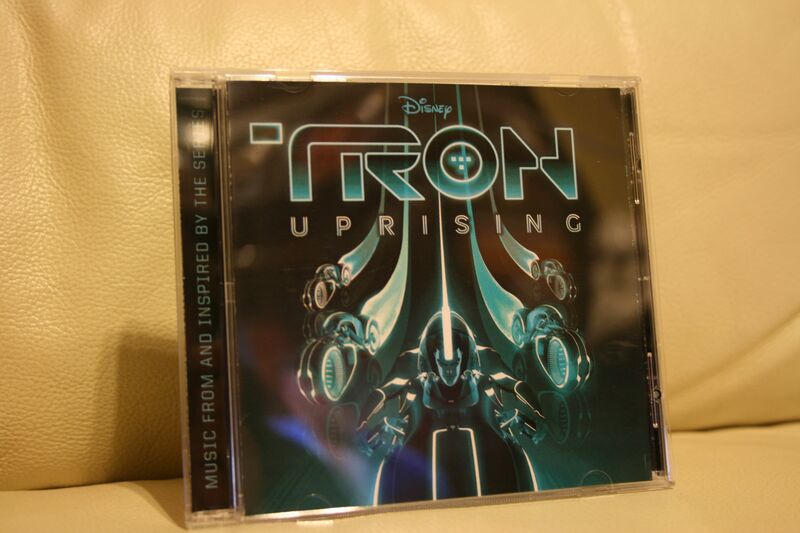 I have to say that I have been listening to this soundtrack quite a lot, especially while working on maps for Tron 2.0. It helps keep me in my zen, man! 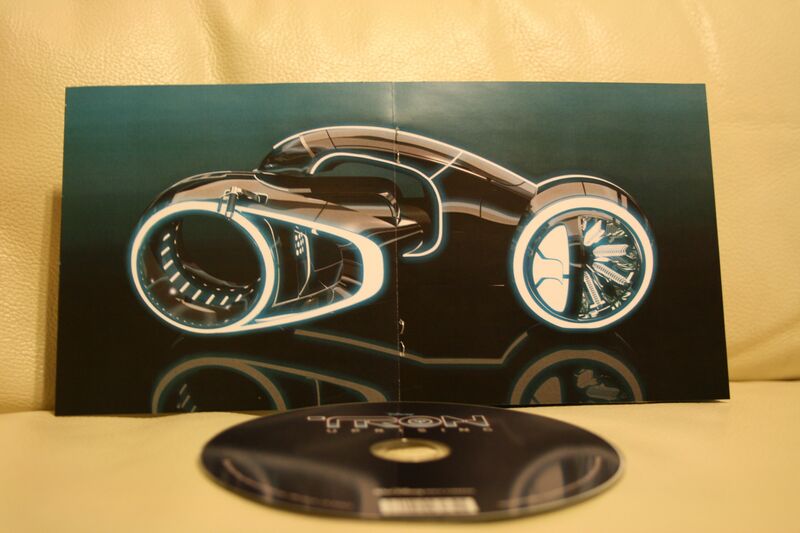 Thoroughly impressed with the iterations and the inspired by tracks included!